If you own (or you're planning to buy) a OnePlus 2, you should be happy to find out that an official software update for it is being rolled out over the air starting today. Only a small number of OnePlus 2 owners are getting the update today, but OnePlus says that, if everything goes as planned, a broader rollout will start tomorrow. As OnePlus itself is mentioning, the new software update is a "sizable" one that's "full of bug fixes and improvements", bringing Oxygen OS to version 2.1.0 (the previously released version was 2.0.2). The Oxygen OS 2.1.0 update comes with several important photography related enhancements, including manual mode (so you can take better control of how photos are shot), and RAW support for third-party apps. Speaking of third-party apps, the update also fixes unnamed issues that "were causing problems" with some of the most popular ones. Other novelties include Exchange support, a new color balance slider to adjust the screen color tone (from warm to cold), and telephony service improvements. 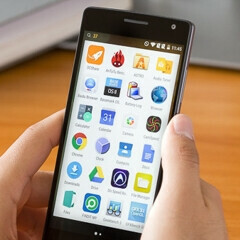 Earlier this month, when we reviewed the OnePlus 2, we found it less impressive compared to last year's OnePlus One, so any software updates that are making it a better device are more than welcome. Is that manual mode a fully featured manual mode like the one on G4 or Note 5, or the fake joke manual mode like one on the S6 or Sony's manual mode? Since It's Been Introduced Via Update Its Probably The "Joke Version". They posted a screenshot on the OP2 forums and looks like: iso, exposure, focus and an icon that looks like a camera diaphragm, since the aperture on smartphones is fixed I'm guessing shutter speed. So nothing for white balance or exposure. That's a shame. What you said doesn't change the fact that no exposure mode available is terrible. checked, exposure control has always been there. You're saying you don't need white balance control as the phone has it reasonably well. I disagree. S6 and g4 have a much better auto mode compared to 1+2 but many a times I benefit a lot from changing the exposure metering (spot, centred or uniform) or white balance manually. There are some conditions in which even DSLRs miss white balance in artificial light, let alone smartphones. That's why a DSLR has manual mode. Because no matter how good a camera is, the auto mode can never be better than human eye. We need a better PR team for Android. Headline should read Oneplus 2 gets first major update 11 months before iOS devices get their first major update. Can't let the isheep get away with their PR spinning and not cone back with their own. One month after release is still pretty quick. Hey it took 12 months for iOS 9 on the iPhone 6 and they don't have many devices either. If you can spin that bs, you can spin this. The 4s and 5 don't really get it. Don't fall for the iPhone hype. They change a few fonts on iOS 8, claim the hardware is not compatible with some of the new features, and just call it iOS 9. Either way, Android is always harder because you have lollipop, android m combos with touchwiz us 8.0 and sense 7, and every screen size between 2.5 to 13.3. While the isheep only have 4, 4.7, 5.5, 7.9, and 9.7. Anyway you want to spin it, it's cake for Apple and difficult for Android. Which makes this first major update in 1 month a lot more impressive than the Apple pr team spins their basic bare one updates. Do we need an invite for that update too? Still waiting for some type of update for the Oneplus One. This, I switch to Oxygen when it was released as my hope for fast and frequent updates to Cyanogen didn't pan out but I think this is worse? That was my thoughts, I should have stayed with Cyanogen. I got a headline for a filler article for any phonearena editor who needs to hit their quota. Oxygen OS 2.1.0 adoption rate is 90% after 5 days(which means 9 people out of the 10 who bought it updated it)! In comparison it took iOS 9 four days to reach 50%. Thank you! I have been observing you isheep in your natural habitat for awhile now and I think I am making strides in discovering how you isheep think, sorry, I mean how you isheep don't think. Too stupid to realize that they have more than one device? Can you tell us if oxygen 2.1.0 is also out for the OPO 1+? We can then talk about adoption rate of this 39MB update. Why is this not a 3 since 1 + 2 = 3?? Just ordered my OnePlus 2 on Friday, still waiting for it to ship. Wonder if it'll come with this update already installed, or if I'll have to install it once it gets here.